On this episode of “Future Imperfect,” Admiral Phillips soars into the unknown on this Teaser Mini-sode for his appearance at the Michigan Science Center AFTER DARK Star Trek event in Detroit, Michigan. 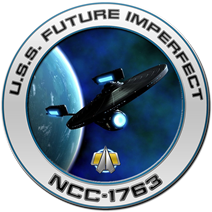 Followed by some thoughts on new ships added to Star Trek Online. Michigan Science Center in Detroit, Michigan on September 20th.